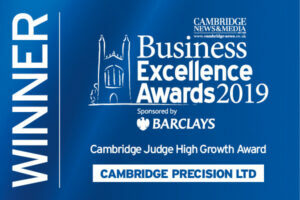 Cambridge Precision Ltd was acknowledged on 21st March, as an outstanding business. 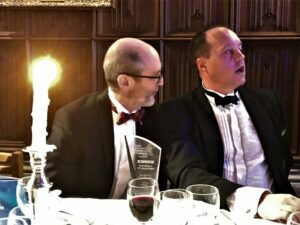 The Judge Business School Award recognises significant and sustainable business growth, and the CPL representatives were delighted to accept on behalf of the whole company, this tremendous accolade. 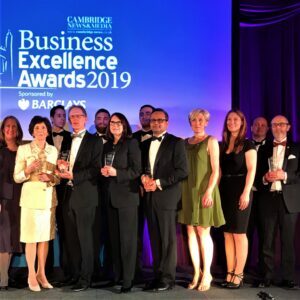 The Cambridge News / Barclays Awards evening was held at Kings’ College Cambridge, and the business community; hi-tech, medical, financial, technical, legal, came together to celebrate the best of the best. 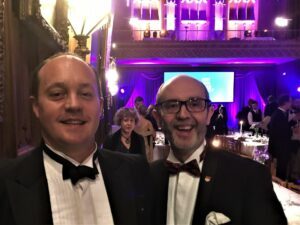 CPL were delighted to be short-listed and absolutely thrilled to have won the award, which acknowledges the vision of the management team and the consolidated effort and commitment of the entire workforce. We set out to change the perception of engineering and to position Cambridge Precision to work with hi-tech sectors and those at the forefront of innovation. We used to be seen as a manufacturer of components – now our growth and success is based on the market’s understanding that we are in fact “partnering innovation”. Great ideas need solid engineering to make them a reality. Working with leaders in the robotics, med-tech and energy sectors, we are helping shape the future. The judges recognised our strategic and deliberate re-positioning, and for that we thank everyone at CPL for your commitment, and thank you to our customers … who come to us asking the impossible and expecting excellence. We really appreciate this award. To be recognised alongside Dame Mary Archer, and being on the shortlist for the Price Bailey Business of the Year Award is really quite special.